In honor of the International Women’s Day, a special event titled “Women Leadership Advancing a Culture of Peace” was held to celebrate and acknowledge the role of women in spreading a culture of peace across the globe. 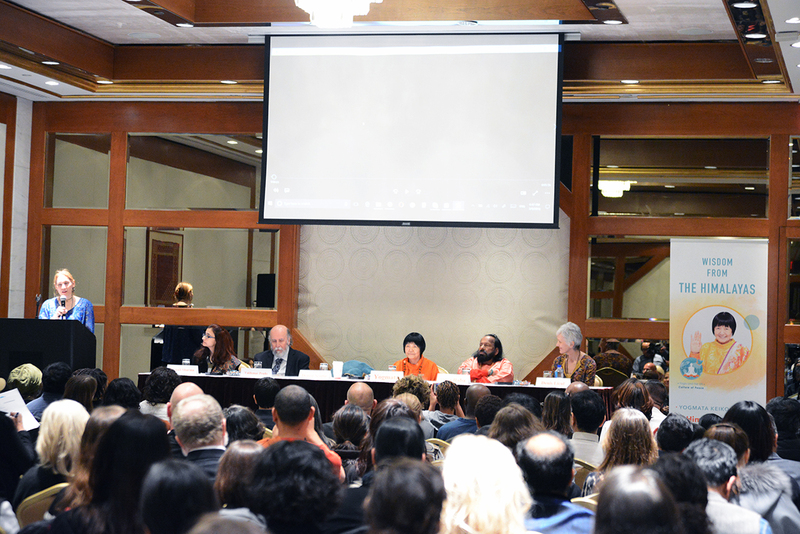 During this unique time in history when harmony is a welcomed change, it was another wonderful opportunity for the international audience to hear from our beloved Master Yogmata Keiko Aikawa, “The Mother of Yoga,” as the keynote speaker for she is a world’s renowned advocate for global peace through the practice of yoga and meditation. Yogmataji also lead a special meditation session to give attendees an experience of true peace only a truly enlightened Shiddha Master can bestow upon. Along with Yogmataji’s inspirational presence, Pilot Babaji also blessed the audience with his speech on women leading the change for peace through yoga and meditation.